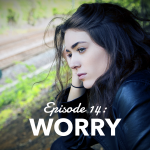 Podcast Episode 13: How Do You Feel Today? Home » Podcast Episode 13: How Do You Feel Today? PODCAST 13: How do you feel today? Hello my friends! I hope you’re having a beautiful week. I’ve been so grateful to be able to chat with some of you as you’ve reached out this week to talk about last week’s episode on Self-Doubt. I always love hearing from you and hearing how the podcast is helping you in gaining a new perspective. So thank you for taking the time to reach out! Okay, let’s talk today about how you’re feeling today. How are you? Right now, think about it? How are you feeling today? There’s this song by Gabriele Aplin that I really like called, How do you feel today? Go check it out because I love her voice and I’m not going to sing it for you right now. But really, think about it how do you feel today? And be specific, when people ask us how we’re doing we generally say bland things like, “Oh I’m fine” or “I’m good, thanks” – what does that even mean? fine, good – it doesn’t really give you any insight to what’s going on with you in your life. When I ask my clients sometimes how they’re feeling and they answer with “better” I always make them give me something else because I can’t go to the emotional index and find better. Content – this is what I think we mean a lot of the time when we say we’re feeling, “fine” – things aren’t bad, but they’re not fantastic either – I’m just content. See if you can pinpoint it. One of the first comments I get from people when they find out what I do is, “How can I be happier?” Or when I ask people what they want I usually get, something like, “I just want to be happy.” Or “I just want to feel better than I do right now.” But what’s interesting is that they’re usually pretty unclear about how they’re currently feeling. They just know they don’t like it, it doesn’t feel good, and they want it fixed. But like anything you can’t fix it if you don’t know what it is that’s causing it. When my kids were little they thought bandaids solved all their hurts. They’d come to me after they bumped into something and want a bandaid and I’d tell them, “you’re not bleeding, you don’t need a bandaid” but they’d insist they needed one. What they really needed was ice or time to heal and a lesson on what not to do next time because that hurts. So many of us try and take the bandaid route. We want to feel better so we emotionally eat, shop, pick up our phones and play on social media much longer than we realize. Or we google, how to feel better and a list of things to do pops up: go on a nature walk, read a book, take a warm bath, exercise, lose weight, make more money, make more friends, etc. Notice all of these things are things to do. We don’t feel good so we must DO something different to fix it, right? I’m not happy so I ate an entire bag of chips and now I feel worse. I really need to join the gym and lose weight. THEN I’ll be happy. Or I don’t feel happy, no one is visiting me or calling me, it’s probably because I’m not calling them either. I need to reach out more. Notice with all of these that you’re trying to DO something. They don’t feel how they want to feel which is generally happy – so they think the answer is to change the action because then they’ll feel better. We’re always fighting. If we had a bigger house, if we moved then we’d be happier. If I had a better teacher, I’d be happier. If I had a better job, then I’d be happier. If I could buy new clothes, then I’d feel better and then I’d be happy. If I could hire a house cleaner to come and clean my house, then I’d be happy. But neither the action nor the circumstances ever need to change for you to feel how you want now. Feelings don’t come from circumstances. They don’t come from our actions and what we do. Feelings come from our thoughts. Our thoughts create our feelings so the only thing that needs to be different in your life is the way you’re thinking about your circumstances. That’s it. You don’t need a new house, a new body, a new bank account, a new wardrobe ,or a new contact list full of friends. Which is a relief because those things aren’t always an option right now. But your thoughts, that’s always an option. You always have 100% control over what you choose to think and what you feel. Somewhere along the lines we were taught this idea that certain things make us happy so we chase after this idea, after those things all because of how we think we’ll feel after we have them. We’re hunting for a bandaid in the first aid kit when that’s not what we need at all. We don’t need a bandaid, we need to stop running into the pole that’s causing the pain. The bandaid won’t help anything if you don’t pinpoint the real cause of the pain. But more often than not we don’t know what’s causing it because we’ve never stopped to think about the root of the problem. We’re too convinced that it’s something we more we need to do, to have, to be. So we just keep running and running all the while still unhappy and weary. The only reason we really want anything is because of how we think it’ll make us feel once we have it. We only want to be rich because of how we think we’ll feel once we have a large bank account. I’ll feel secure, generous, happy. We only want a new set of clothes because of how we think it’ll make us feel. We’ll feel cool, put together, happy. We only want more friends because of how we think we’ll feel once we have a lot of friends – secure, confident, popular, happy. But we don’t need any of those things to feel happy, to feel confident, to feel generous. Because happy, confident, generous – they don’t come from having things, from doing things. They come from your thoughts. Nothing needs to be different for you to feel how you want to feel now. This is such great news. Everything you’ve ever wanted all boils down to how it’ll make us feel and since feelings come from thoughts, you can create those feelings now. You don’t have to wait. So okay, it’s my thoughts. I’ll just think happy thoughts and then I’ll feel happy and that’s it right? It sounds so simple. I actually had a conversation with a friend ages ago where she asked me, so if I want to be happy I just have to think happy thoughts? And the way she said it, like almost annoyed and with a tinge of disdain because it’s so simplistic in the overall idea of it. Like, if it were that easy, don’t you think I’d have done it by now? Or I’ve tried…doesn’t work. Thanks for trying to sell me your secret product that’s really just a diluted knock off that doesn’t really even work. So I told her, no. That’s not exactly it. The simple version is that yes, our thoughts create our feelings so absolutely, if you want to be happy, you need to think happy thoughts but it’s so much more involved than that. Because most of the time we can’t just make that switch like it’s an on/off switch. It’s not a quick fix. It’s like wait…the answer to being healthy is to eat right, get enough sleep, and exercise? Yes. Then why do we have a society of unhealthy, overweight, exhausted individuals? Because the formula is simple, is simplistic, but it’s also more complicated because how you’re feeling is most likely a thought that’s in a whole slew of other thoughts and if you’re not good or consistent at managing your mind, it’s probably quite a mess. It’s just spaghetti and you’re trying to untangle it to find where it starts. It like you have a goal to eat right but then there’s that cookie that looks so good that get’s in the way of wanting to eat that salad so you grab the cookie then get upset with yourself later for eating it. But it’s not the action that is the problem. You want to find out what the thought was that prompted the desire to eat the cookie in the first place. There’s several factors that contributed to that one action, right? You’re overwhelmed with things going on, things you need to do, things on the schedule, but you’re too busy to address all those so you just feel a state of overwhelmed. Then your best bud is acting strangely and so you’re thinking, I wonder if she’s mad at me. What could I have done? Then it’s late, you’re tired and you have these feelings that have just been tabled and your brain really, really wants that cookie because it knows that sugar will give you a quick dopamine hit and you’ll feel temporarily better. It doesn’t have enough will power to say no because you feel like you’re drowning in a lot of unchecked, unmanaged thoughts and feelings so you eat the cookie. So we can’t just start with, think happy thoughts. It won’t solve the problem. We have to find the cause. We have to untangle the whole story you’ve created for yourself to figure out why you’re feeling all the feelings you’re feeling, and all the thoughts behind them. It’s a mess but that’s okay. Because like any mess you can absolutely clean it up. You can learn how to manage your mind and direct your thoughts in a way that will create the feelings you DO want. Time to hire new management. Fire your auto-pilot and take control, deliberate control of your mind, your actions, and your life. But you can’t do this while operating from auto-pilot. So here’s the thing…we THINK we’re in control. We THINK we know what we’re thinking. But we don’t. Not if we’re operating from auto-pilot. Auto-pilot is when you’re running on past thought patterns, established habits, and practiced thoughts and feelings. You have to start with awareness, getting out of default and into a conscious, intentional state. Think of a feeling you experience a lot, quite often, like daily. You’re most likely feeling this because of your default. Your brain likes what’s known, what’s practiced and what’s easy so it goes to auto-pilot, and reverts to those default thought/feeling patterns. Your sister says something so you get annoyed. Then a lot of what she says is annoying because you’ve practiced being annoyed that it becomes your default. Have you ever experienced this where someone outside comes in and they’re not annoyed? It doesn’t bother them and they’re actually wondering why it’s bothering you so much? Then you start trying to explain to them and you’re like, wait…why does that bother me? For me for a long time before I realized this was to be frustrated. I was frustrated a lot. I was frustrated when my kids didn’t listen all the time. I was frustrated because the house wasn’t as clean as I’d like it to have been. I was frustrated when we’d be trying to leave and someone would inevitably forget something so we’d all have to wait for them. In my mind I had practiced this thought/feeling pattern of being frustrated. It was easy to get to because I had practiced it so many times and it didn’t require a lot of conscious thought or energy to get to. It was “They did this…and now I’m frustrated” so I was frustrated a lot because that’s what I had trained my default to be. It wasn’t until I became aware of what I was doing that I could decide if those thoughts were ones I wanted to keep and operate from or ones I wanted to question and deliberately work towards a different thought, then feeling. My kids still forget things. Sometimes they’re not listening. Sometimes the house isn’t as clean as I’d like it to be but I’m not frustrated all the time anymore and it’s because I got out of auto-pilot. It’s a choice we can make. You don’t have to feel how you’re feeling all the time if you don’t want to. But you do have to first realize what’s happening. You first have to recognize that you’re operating from default and then consciously think and decide what you DO want to think about the circumstance. So okay, I want you to think about something. I want you to think about your top three feelings you experience the most. What are your top three you have on a daily basis? I know we feel a lot of things everyday but I want you to think if all your feelings were compiled into a pie chart what three would take up the most room? What are your top three? I practiced this thought/feeling pattern of frustration daily. I also practiced the feeling/thought pattern of believing there was so much to do and I felt overwhelmed. Then because I was overwhelmed by everything that had to be done I also felt tired…daily. I felt a lot of other things too. I was happy and excited and full of love for my family but at that time for me, those were my top three that took up a good portion of my day. So when you think about your top three I don’t want you to feel guilty or upset by your top three. Just realize where you’re at. It’s okay wherever you’re at. We just need to recognize where the starting point is. So now, once you have your top three I want you to think about what thought/thoughts are creating those feelings for you. Feelings come from your thoughts so there’s a thought that is creating that feeling. See if you can figure out what the top, regularly thought thoughts are that create that feeling for you. For me, it was something like, “They should clean up after themselves. The house is always a mess” so then I’d feel frustrated because I thought the house should be clean and that my kids should always want to clean it. Or I’d think, “There’s so much to do. How can I possibly get all this done?” And then I’d feel overwhelmed. Feel around and see if you can figure out what thoughts you’re having often enough that create those feelings for you. Now, I want you to examine it a little. I want you to be curious and not judgmental to yourself. Is this where you want to be? Are these thought/feeling patterns ones that are serving you? Helping you to be and operate from your best self? If you could choose, are these thoughts/feelings you’d choose again on purpose? If not, there’s hope because you don’t HAVE to choose those. You don’t have to feel how you’re currently feeling if you don’t want to, if it’s not serving you and helping you towards who you want to be. Those feelings are all optional because they stem from your thoughts and your thoughts are optional. You get to choose what thoughts to believe and what thoughts to say, no thank you to. There was this documentary we watched ages ago that we really liked that followed these three boys from Sudan. They were brought over to the United States along with a group of other boys as refugees. These boys had never experienced running water, plumbing, a grocery store, an airplane. Everything was new from the rough, natural terrain that they’d lived in for so long. So watching these boys experience America and all our abundance was really humbling for me. To come from a land where food is sparse and limited in variety and choices to a grocery store full of a wide variety of fresh choices was quite an eye opener. I’ll put the details in the show notes if you want to know more but I bring this up because for so long we’ve been operating from a belief that we only have so many options. It’s limited. Of course I’d need to feel frustrated. How else would I feel? Like it was all the was available to me. To then realize that there’s an abundance of other feelings I could choose from was an eye opener. So picture this grocery store full of other feelings and you get to choose any three you want. Roam through the healthy, fresh produce section and find feelings like, “Loving, Cheerful, Peaceful, Joy” What would your top three be? 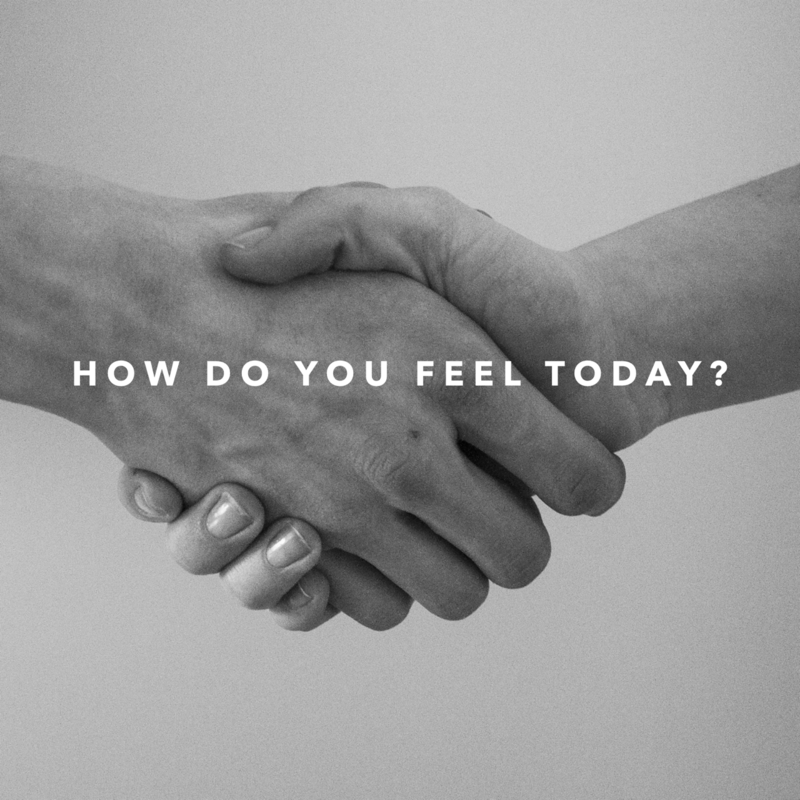 What do you want to feel the most in your day? For me, one of my top feelings I choose on a regular basis is creative. I love being creative and making things. I’m a homeschooling mama so I love drawing upon that creative feeling in the classroom. I also love creative because it helps me figure out challenges, to get over setbacks, and to find ways to do things that I need to each day. I’m creative in the way I parent and speak with each of my children. When there’s a problem I don’t default to frustration or overwhelm instead I’m tackling it from a creative perspective. How can I figure this out? What other ways can I try to solve this? So to feel creative I have to think thoughts that generate that feeling in me. I ask a lot of questions of how can I look at this another way? There’s always another way or several ways to go about this. I bet if I try this…it’ll work. These thoughts create the feeling of creativity. When I learned that our thoughts create our feelings and that I really could feel anyway that I wanted at any moment, my world changed. My parenting changed for the better. I changed for the better because I wasn’t limited anymore. I felt astounded and bewildered much like those boys experiencing abundance for the first time. We’re not limited to only a few feelings. You have an entire grocery store – Costco sized store full of feelings that are there and available to you at any time. Whatever it is you first need to recognize where you’re at. Where is your starting point. Just become aware of your default. What thought/feeling patterns have you practiced? Then find the thought/s that generate those thoughts for you. Question those thoughts. Are those thoughts serving you? Are they thoughts you WANT to keep? Then be open to the abundance of feelings available to you. Picture that Costco store full of feelings – what feelings would be in that giant refrigerator? Despair? Sadness? Or by the book sections – which is always my favorite. Creativity, Curiosity? Choose what feelings you want to feel most in your day. Remember, you still get to feel other things but these three you’ll deliberately focus on and work to add into your day. Then you have to think about the thoughts you’d need to think and believe – believe is the key here that will generate those feelings for you. If I tried going from frustrated daily to, “I just want to be happy!” It may have been a tough sale because I really didn’t believe that happiness was possible with the mess, clearly. I could tell myself, “I’m happy there’s a mess. I’m happy I get to clean this up.” But I wouldn’t generate happy because deep down I’m still holding on to the thought, this shouldn’t be messy. I shouldn’t have to clean this up. They should be helping. But I could get to creative. I could start by asking questions. How can I teach my family to be proactive about cleaning up? How can we make cleaning fun? What would be an easy way to figure this out? Then I really would generate creativity which served me so much better than daily frustration. Because when I’m operating from creativity I’m a more pleasant person. My actions are positive. My results are positive. It doesn’t mean my creative solutions always work – they don’t but they don’t have to. I’m creative so I’m just going to go back and think of something new to try. When I was frustrated I was feeling negative, I acted negatively and I created a negative environment for myself all because I didn’t know that there were other options. There are other options. If you’re not liking how you’re feeling currently – there’s hope. You don’t have to stay there. It’s possible to choose something else, something better. But it starts in your thoughts. Having a goal to work towards – I know I don’t want to feel frustrated anymore, but what do I want to feel? Really think about this – and happy isn’t one of my top three. I am happy so much of the time but it’s not one of my three and I’ll tell you why. When I’m thinking about my day early in the morning I try and visualize what it’ll look like. I’m pretty sure my younger kids will make a mess. I don’t really want to be happy about that. Yay! There’s a mess. No…But I do choose creative. I choose abundance everyday. There’s enough time, enough resources, enough talent, capabilities, everything. We have everything we need to conquer any challenge that might come our way. I love feeling abundant. When I choose abundant I don’t feel overwhelmed. There’s no need for it. There’s enough. You’re enough. It’s all going to be fine. My other top feeling I choose is love. Love helps me operating at my best. I choose love for my family, for the people around me, and for myself. When I’m very human I love myself into improving instead of guilting or shaming myself into changing. Love feels best. Love encompass joy, understanding, compassion. I know that no matter what comes up during the day that love will be the best feeling for it. What about you? What are your top three feelings? I’d love to hear from you! Join the Love at home facebook group or subscribe to my tribe.